It's Friday, it's almost sunny and I am about to have a WHOLE week off to move into my new flat. I NEED A COCKTAIL. As I explained with last week's apple julep recipe, my cocktail gear is all in boxes at the moment, so Toasted Glass' very own Monique Low has kindly donated some of her cocktail recipes to the blog. We've talked about her amazing hand-painted glassware before... A LOT. And these cocktails and photos showcase just how perfect her pretty glasses are for all kinds of drinking delights. 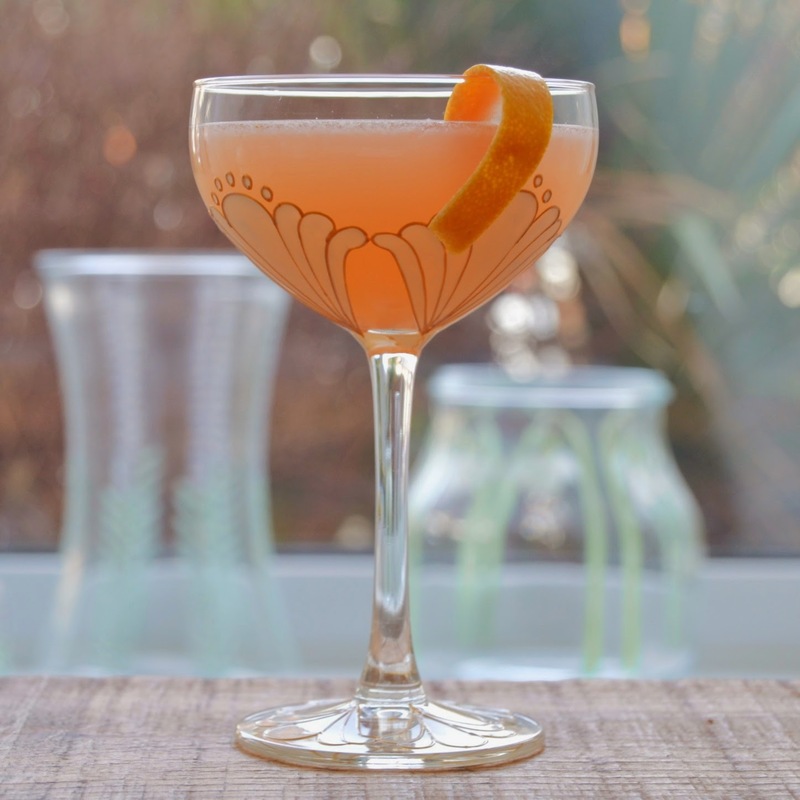 Today I'm going to share her newest cocktail creation with you - it's a real good'un. The delicate mix of passionfruit, vanilla and grapefruit plus LOTS OF RUM makes it the perfect spring cocktail. 1. Use a paring knife to carefully cut a strip of grapefruit zest and set it aside ready to use as your garnish later. 2. Fill your cocktail shaker (or jam jar) with a good handful of ice and add the rum, vanilla liqueur, passionfruit syrup and grapefruit juice. 4. Strain into a chilled cocktail glass. 5. Holding it over the drink, give the grapefruit zest garnish a good twist to release the oils and drape it over the side of the glass. Et voila! We're all set for the weekend. Enjoy!